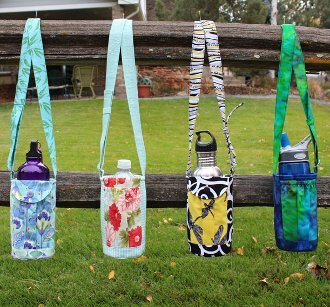 Create this insulated water bottle cross body sling with two pockets for cell phone and keys. Contains optional flaps and adjustable strap. Uses buttons, snap, elastic or velcro for pocket flaps.